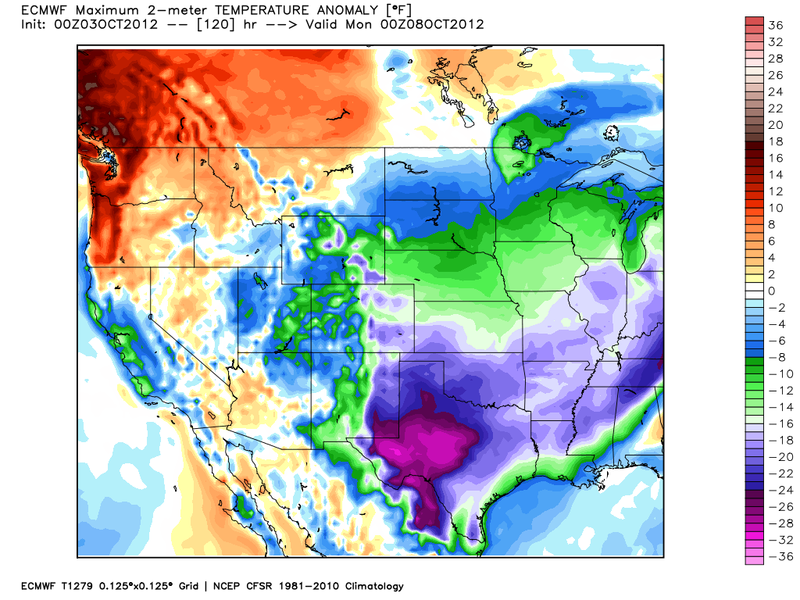 Riding The Temperature Roller Coaster. 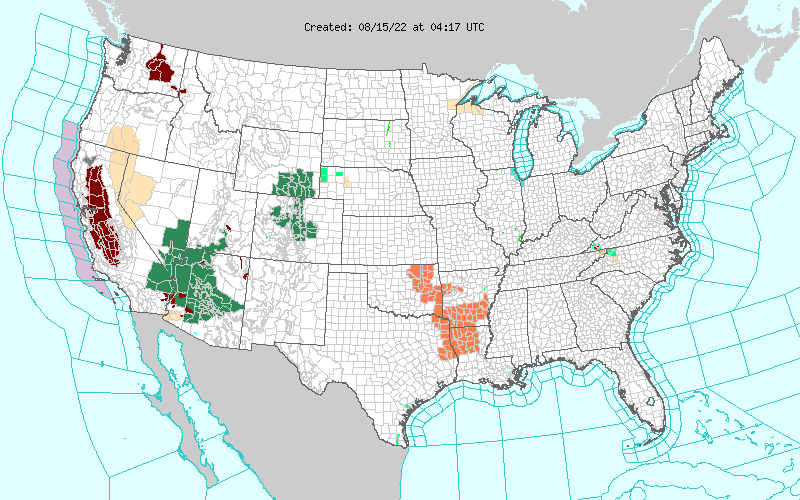 Blog updated at 6:13 AM MDT. 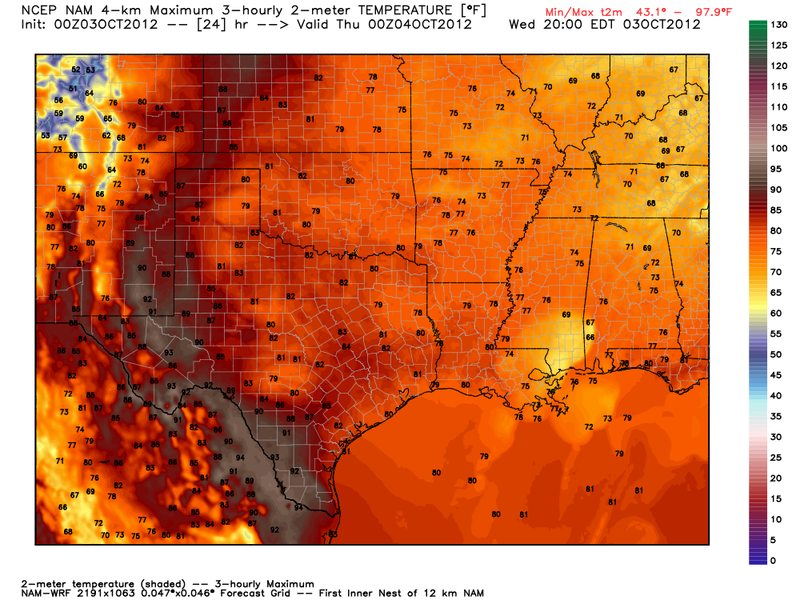 NAM 4-KM Temperature Forecast At 6 PM Today. Our afternoon high temperatures were close to normal for the first week of October yesterday. 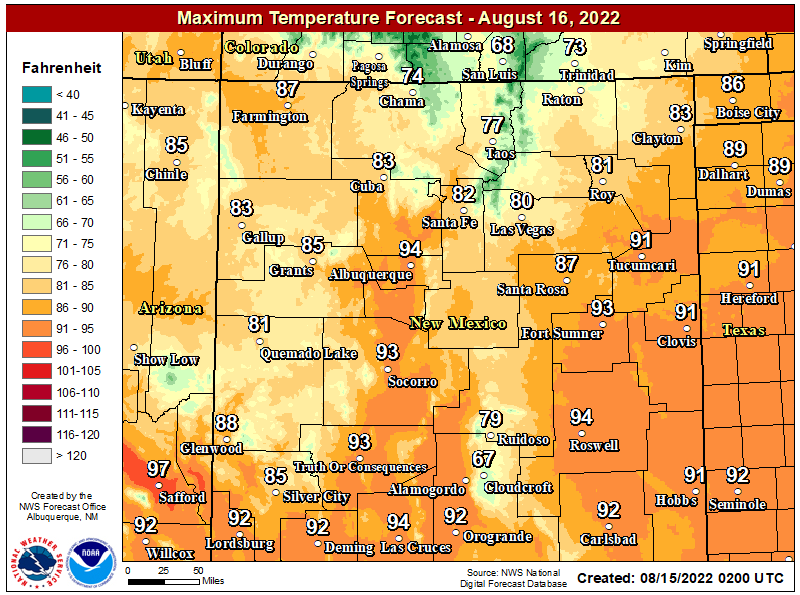 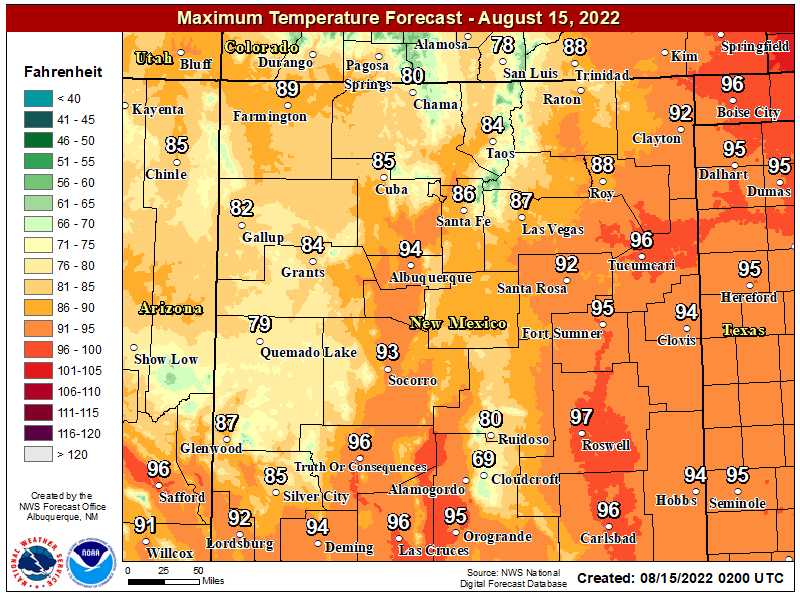 Today will be about 10-degrees warmer with our afternoon highs forecast to range from 90 to 95 across the southeastern plains. 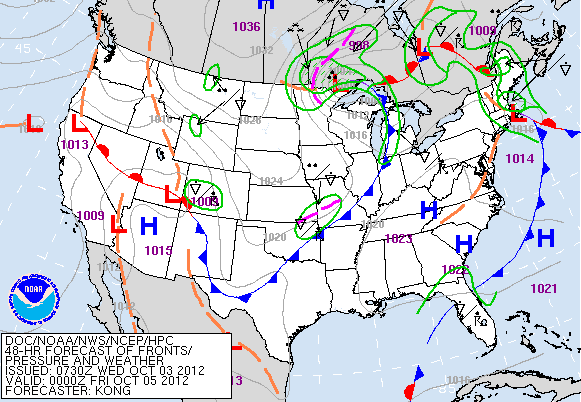 Surface Map Forecast At 6 PM Thursday Oct 4, 2012. 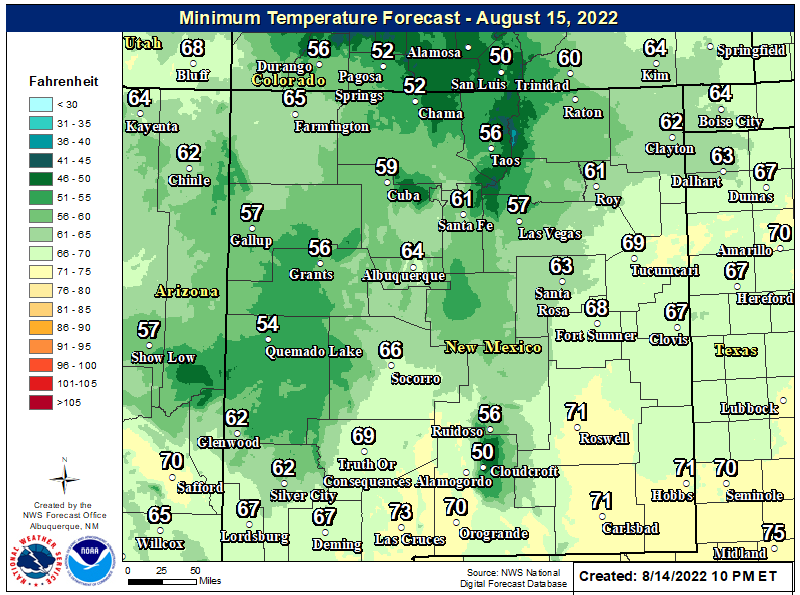 After seeing summer-like temperatures today, a cold front will push southward through the area tomorrow. Cooler air behind the front will knock our afternoon high temperatures back down to normal values on Thursday with most of us seeing highs ranging from near 80 to the mid 80's. 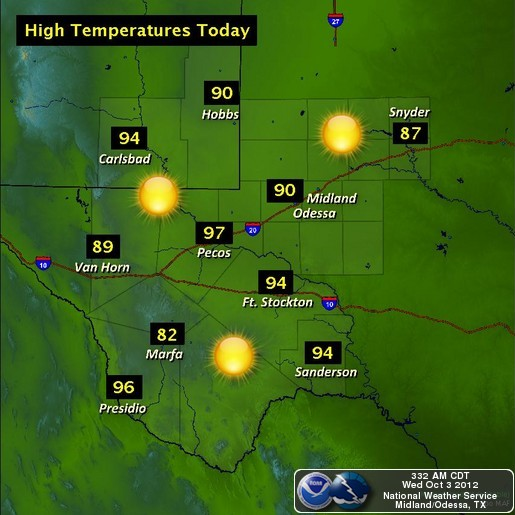 Friday will be another hot one with our highs rebounding back up into the 90 to 95 degree range. Strong Cold Front - Much Colder Temps This Weekend! Valid At 6 PM MDT Saturday Oct 6, 2012. 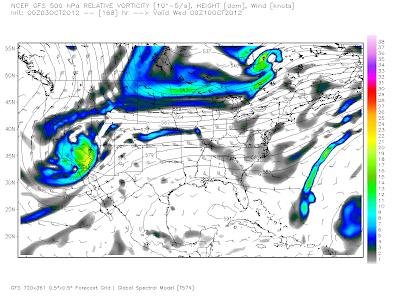 Valid At 6 PM MDT Sunday Oct 7, 2012. 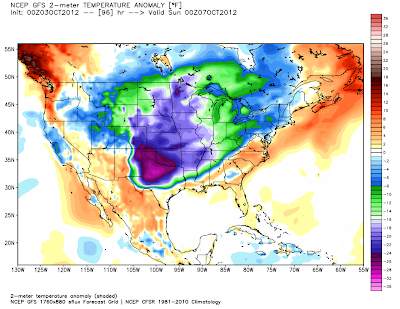 ECMWF Temperature Departure From Normal. 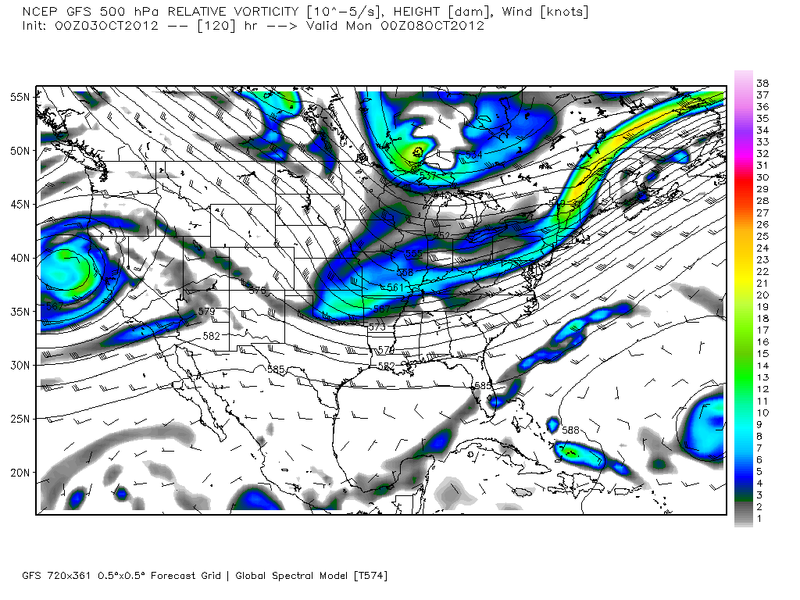 Valid At 6 PM Saturday Oct 6, 2012. 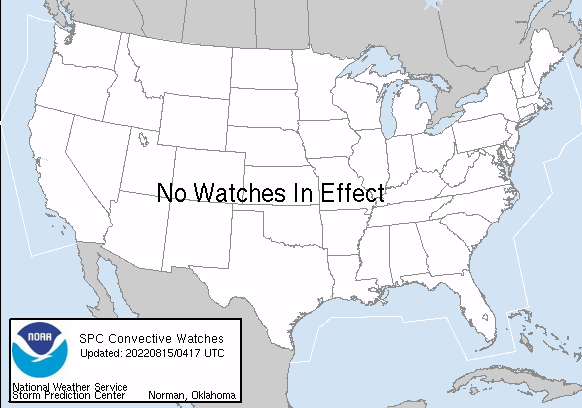 Valid At 6 PM Sunday Oct 7, 2012. 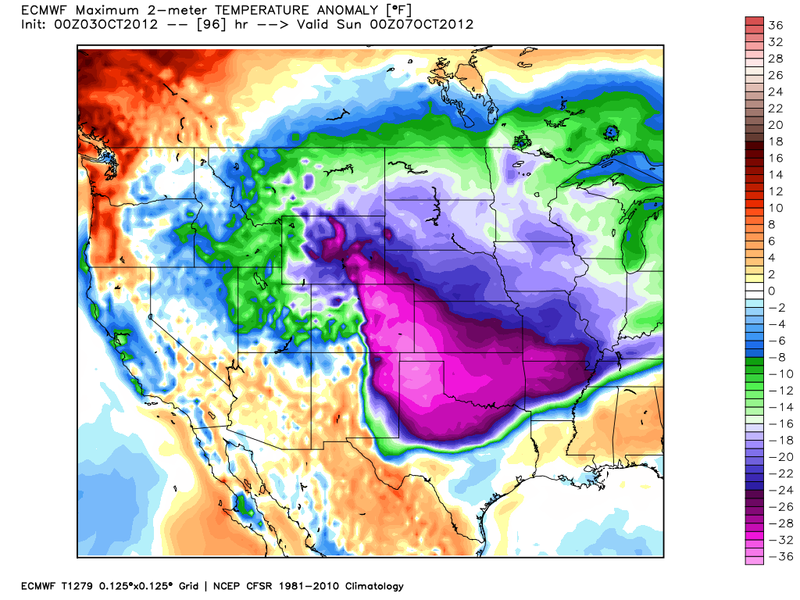 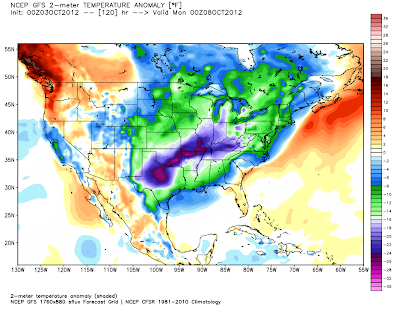 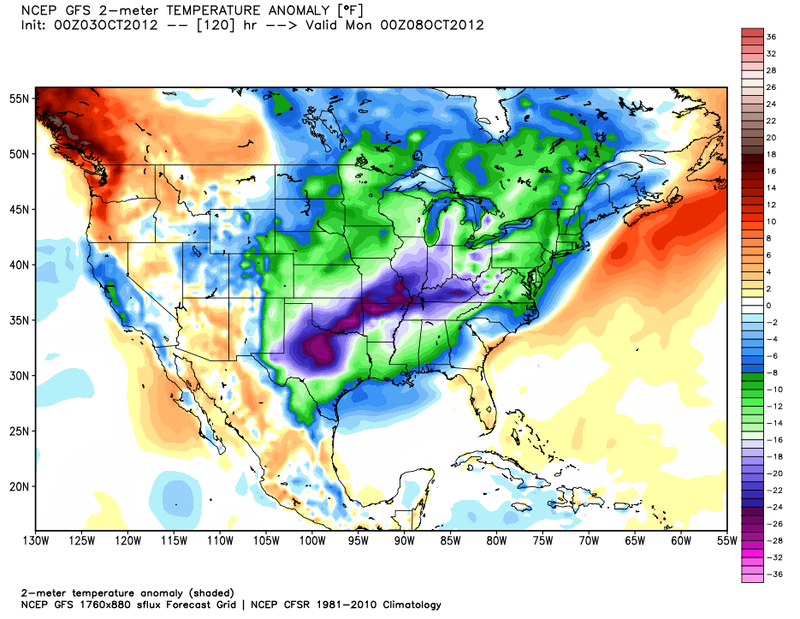 GFS Temperature Departure From Normal. 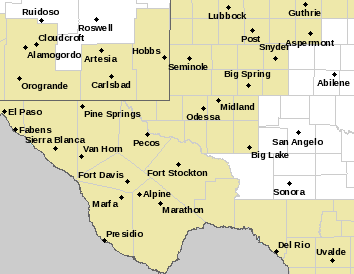 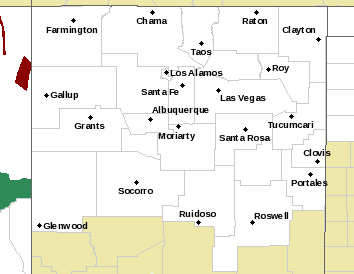 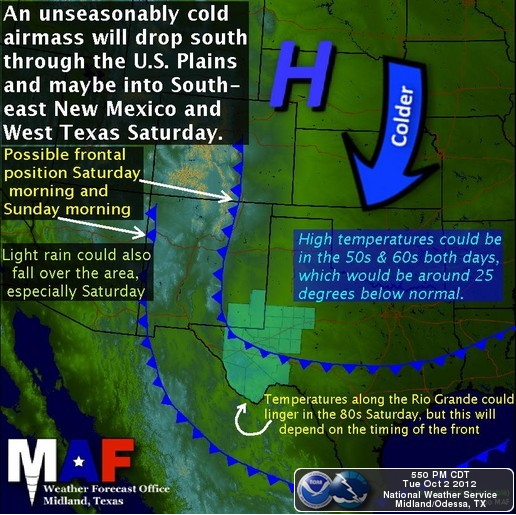 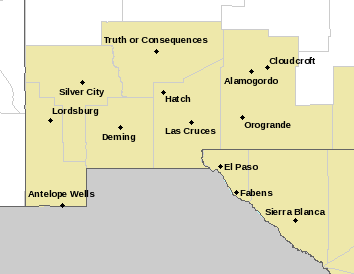 A strong cold front will plow southward into southeastern New Mexico on Saturday. 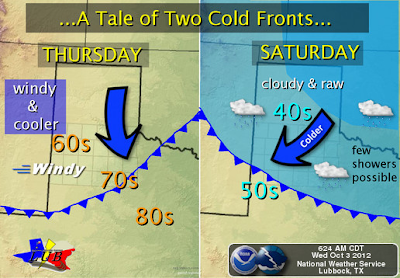 A much colder airmass will overspread the area behind this cold front Saturday and Sunday. 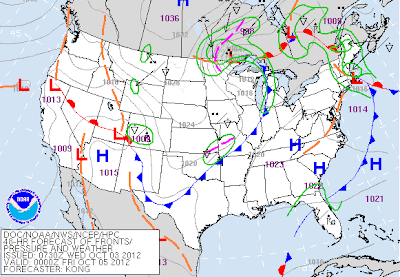 Gusty northerly winds will accompany the frontal passage and will persists a few hours afterwards. Our high temperatures on Saturday and Sunday are forecast to only be in the 50's and 60's across the southeastern plains. 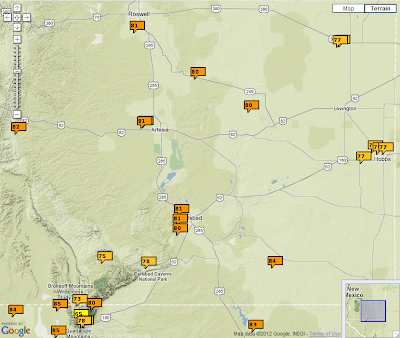 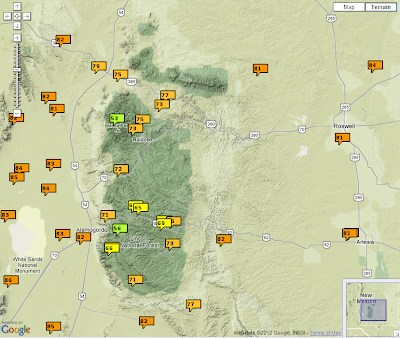 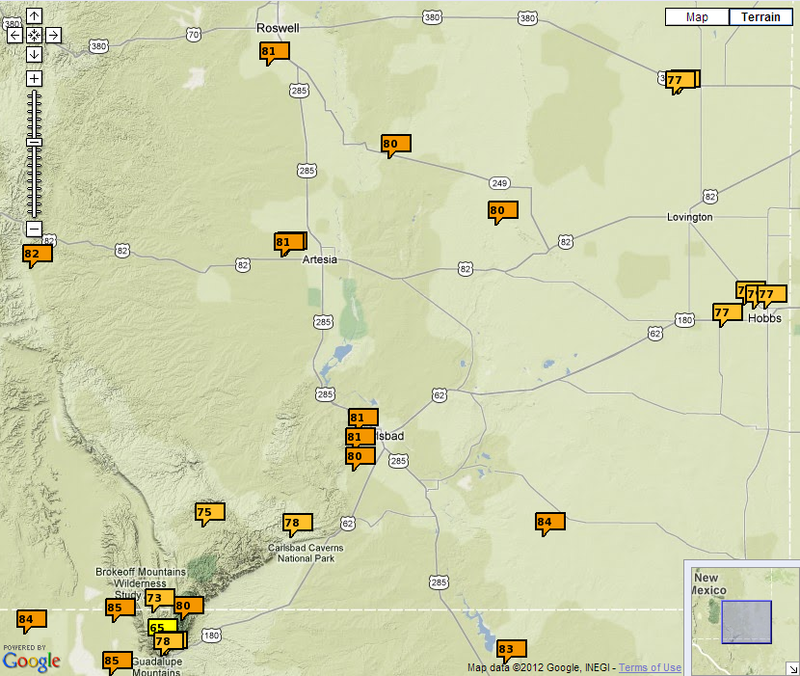 These temperatures will be some 20 to 35-degrees below normal across eastern, southeastern New Mexico and west Texas. 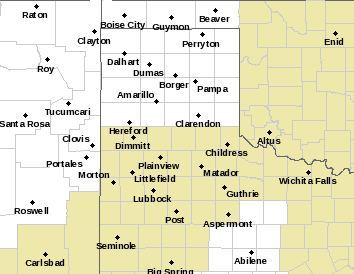 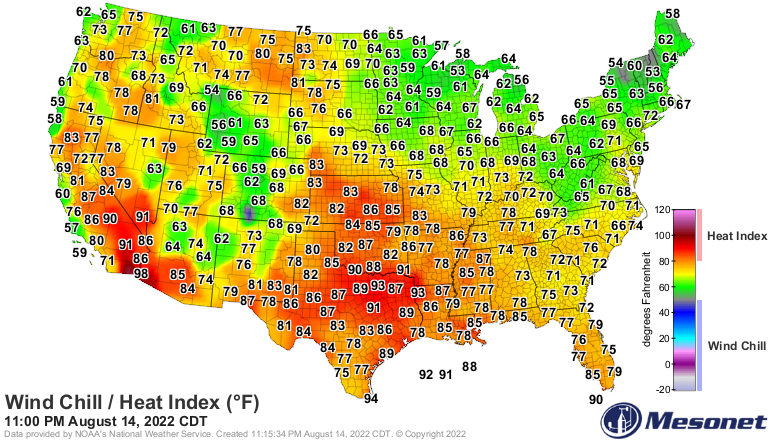 Parts of the northeastern and eastern plains of the state may not make it out of the 40's. 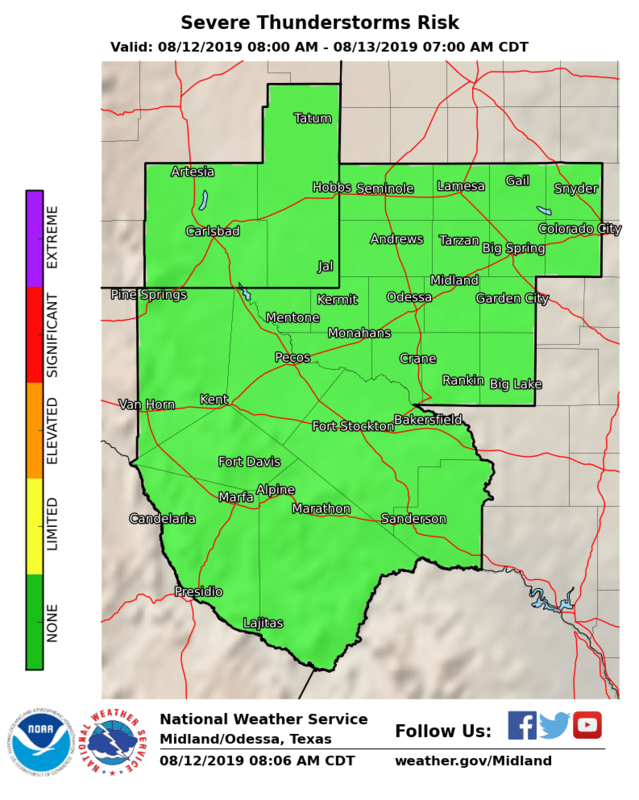 Overcast skies along with areas of fog and drizzle may also develop Saturday night and persists into Sunday. 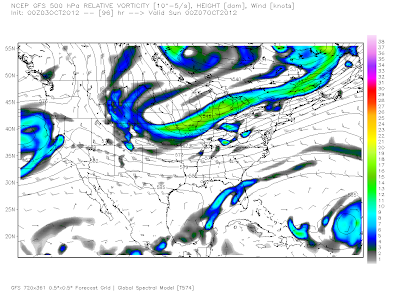 Upper-Level Storm May Bring Rain Next Week. 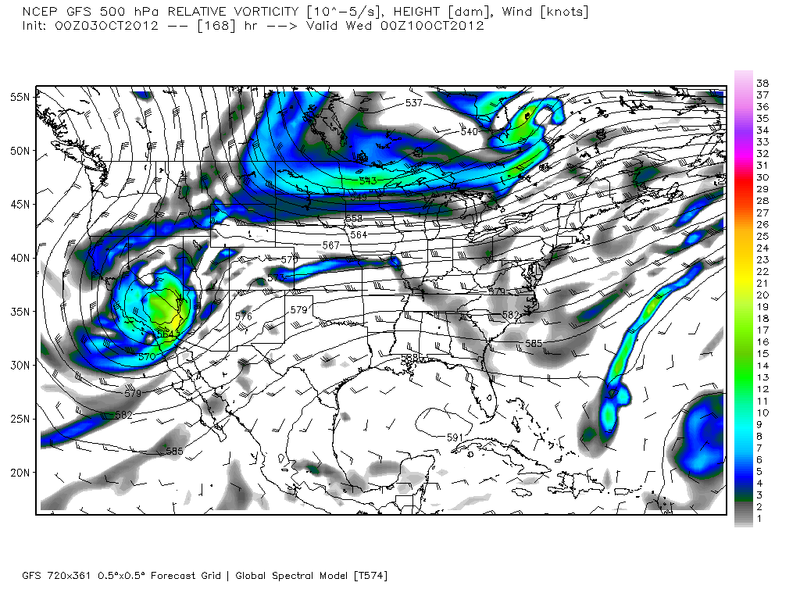 Valid At 6 PM MDT Tuesday Oct 9, 2012. 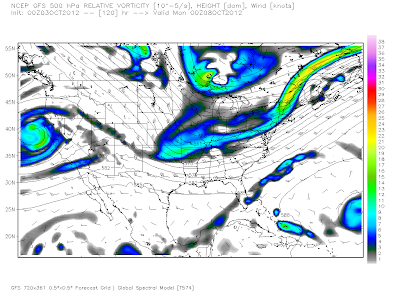 A piece of energy is forecast by the models to break off from the northern jet stream and head southward into southern California by the first of next week. This upper-level storm may give us a decent shot at some more rain by the middle of next week.